Really Awful Movies: Ep 236 – C.H.U.D. 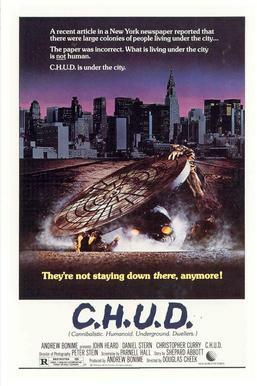 C.H.U.D. is a weird one. For reasons unexplained, the film’s left quite the pop culture legacy, referenced everywhere from Aqua Teen Hunger Force to Clerks II, and of course, in The Simpsons. Why is this? 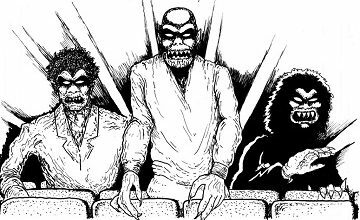 Hard to say…It’s possible because while the 50s was the height of the monster movie craze, the similarly-themed C.H.U.D. was a definite outlier during the stalk-and-slash 80s. The flick launches with a woman walking her dog in an inexplicably deserted New York street. She and her pooch are promptly pulled into the sewer. We’re then introduced to a fashion photographer, George. He lives with his model girlfriend (that is to say, girlfriend who is a model, not the ideal girlfriend). His current photojournalism project is photographing NYC’s homeless population, some of whom live in a subterranean sewer lair. Soon, Captain Bosch, NYPD, takes a personal stake in a spate of disappearances. Since many of the missing are dispossessed and down-and-out, Bosch interviews A.J., aka, “The Reverend” (Daniel Stern), who runs the local homeless shelter. AJ, who has been poking around in the sewer and found items that include a Geiger counter, believes the events are part of a massive conspiracy. 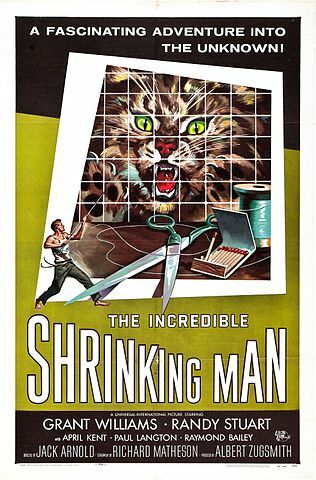 And since this is a 50s-style monster movie, he’s damn right. Join us on the Really Awful Movies Podcast, where we dissect this fun creature feature. And decide whether AV Club had it right. Subscribe! And leave us a review on iTunes if you like what you hear.